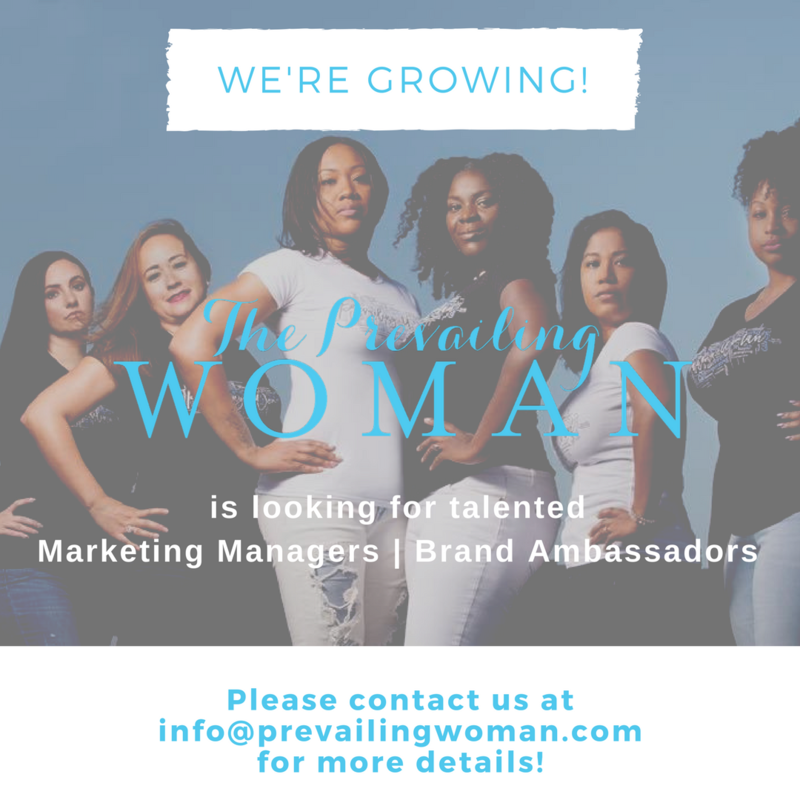 The Prevailing Woman is a brand that promotes the professional and personal achievements of women on both national and global platforms. Few women’s interest magazines exist that highlight both professional and personal accomplishments that women from various cultural backgrounds have made on international, national, regional and even local levels. As such, a niche market exist that The Prevailing Woman will reach, with your help! If you believe in our brand and contributions to women, Contact us today to apply for our Marketing Manager and Brand Ambassadors positions. Responsible for managing marketing, advertising and promotional events for The Prevailing Woman. As the Marketing Manager you will takes steps to measure, enhance, and enrich the position and image of a company through various monthly goals and objectives. Employee must have a background as well in digital marketing. She is responsible for developing, implementing and managing marketing campaigns that promote a company and its products and/or services. She plays a major role in enhancing brand awareness within the digital space as well as driving website traffic and acquiring leads/customers. Monthly compensation and percentage of sales will be available. The Marketing Manager contracted part-time position. She will represent The Prevailing Woman to targeted customers in order to increase awareness, create a specific image, generate sales opportunities and build customer preference is a brand ambassador. Percentage of sales through sale codes and referral compensation will be available for all Brand Ambassadors. Brand ambassadors are continuous contracted part-time project hires to work a specific event or time frame.